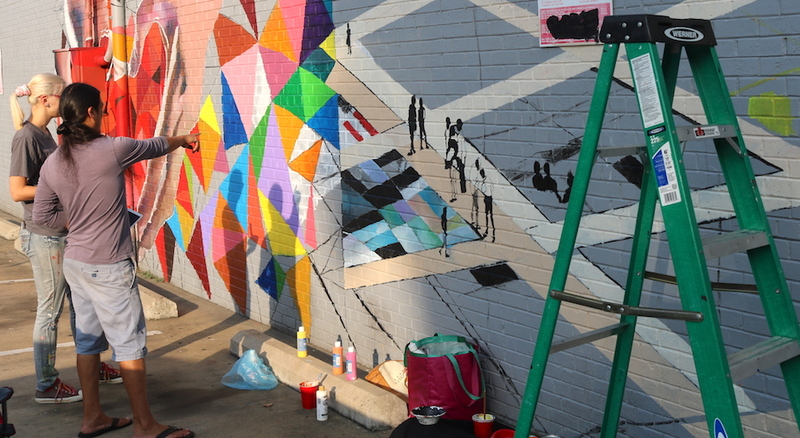 Artist Lee Madrid is working feverishly to finish the Dallas Red Foundation’s AIDS memorial mural in time for Pride. At least major portions of it will be done, he said, and he hopes to have people come and take pictures with it during the parade and have people do some painting on the wall themselves. “Leave your mark on the community,” Madrid said. Volta Voloshin-Smith, who specializes in watercolor illustrations, is helping get the wall ready for Pride. Madrid said they met at Sandwich Hog, where they’ll be creating a mural later this fall.